Raymond Wayne Dieter was born on Nov. 23, 1938 to Orval and Edith Dieter, of Susanville, California. There he attended school and graduated from Lassen High School in 1957. After graduating high school Raymond enlisted in the Army where he served two years then enlisted in the Air Force where he retired after serving 21 years. On Sept. 15, 1962 he married Jane Wood, a childhood friend also from Susanville, California. In 1986, he moved to Pendleton, Oregon where he worked as a Correctional Officer at Eastern Oregon Correctional Institute until he retired a second time in 1996. After retiring, Raymond enjoyed spending time with family and friends. He loved to go camping and fishing. He also enjoyed woodworking and gardening. On April 18, 2018 Raymond passed away at McKay Creek Estates in Pendleton, Oregon after losing his battle with cancer. He is survived by daughters, Cynthia Marie Dieter, of North Bend, Oregon and Teresa Ann Thompson, of Pendleton, Oregon; his brother, Jerry (Kay) Dieter, of Susanville, California; four grandchildren, Mallory Babock (Michael), Nate Thompson, Hattie Thompson, and Krista Eubank; nephews, Dennis (Joellen) Wood, Darrell (Callie) Wood, Leroy (Carla) Dieter; and nieces, Diana Wemple, Patti (Dan) Rice, Susan Theodorelos and Karen Dieter. He is preceded in death by his wife of 44 years, Jane (Wood) Dieter; his parents, Orval and Edith Dieter; and sister, Marilyn (Dieter) Theodorelos. There will be a Celebration of Life held at a later date. Shirley Mae Ward, age 62, was born March 21, 1956 in Everett, Washington. She passed away April 22, 2018 with her husband and two children at her side after a brief struggle with cancer. She was a long time resident of Janesville, California since 1984. She was a 1974 graduate of Fall River High School. She loved her family, gardening, knitting, crocheting, camping, NASCAR and her dachshunds. 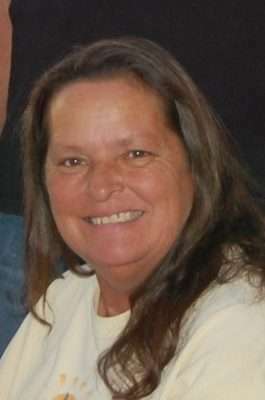 She is survived by her husband, John of 17 years; son, Nathan Spalding (Sherry); daughter, Heather Lambert (Jeff); step-sons, Mark Ward (Hether), and Kevin Ward; five grandchildren, Wyatt and Bailey Spalding, Westin and Brycelyn Lambert and McKenzie Ward; sisters, Betty Axner (Bob), Carol Morrow; and brother, Terry Kennemore (Tina); as well as numerous nieces, nephews, friends and other family members. She is preceded in death by her parents, William and Waunita Kennemore; son Bryce Cameron; brothers, Lewis and Jackie; and sister Wanda. She will forever be loved and missed. A Celebration of Life is scheduled for June. In lieu of flowers, please make donations to Cancer Treatment Centers of America, St. Joseph’s Hospital (Barrow Neurological Institute) in Phoenix, Arizona or Hospice of the Valley in Phoenix, Arizona. Joan Josephine Neely passed on peacefully on May 2, 2018 surrounded by her family. She now joins her husband C.T. Neely, son Bill Neely, sisters Ruth, Dorothy, Leona, Genevieve, Esther, Phyllis, and brothers Earl and Bud in heaven. Joan aka “Joann” was born in Sheridan, Wyoming on April 28, 1937 and is survived by her brother, Archie Grooms; brother-in-law, Claud (Jo) Neely; daughter, Carol (Don) Montgomery; daughter-in-law, Cari Neely; grandchildren Matt (Tiffany) Montgomery, Jolee (Reno) Renollet, CT Neely and Anthony Neely; she is also survived by great-grandchildren, Mathew and Felina Montgomery, Leah, Emily and Niko Renollet; and many cousins, nieces and nephews. Joan was dedicated and devoted to her family. She was a hard worker and always made sure her family was taken care of even if it meant she went without. Joan spent many evenings at the kitchen table playing cards, visiting with family and friends, and working on craft projects with her siblings Earl, Phyllis and Esther. “Grandma” Joan always treasured and looked forward to spending time with her grandchildren and great grandchildren. Nothing brightened her day more than being able to spend time with them. 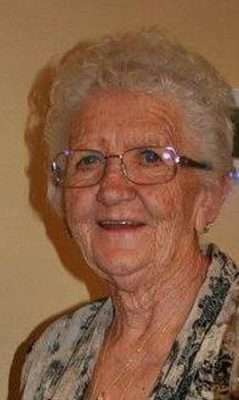 Her hobbies included sewing, knitting, crocheting, quilting and gardening. Every year she canned jams and jellies for family and friends. Everything she made was made with love and the hope it would brighten someone’s day. She was generous to a fault and with a Werther’s in her pocket and that inviting smile on her face, had a way of making everyone around her happy. She was known by many as the helpful lady in the fabric department at the local department store where she worked for many years and loved her numerous customers. A Celebration of Life will be held at 2 p.m. Saturday, May 12, 2018 at the Honey Lake Valley Grange, 472-690 Theatre Rd. Susanville with a barbeque to follow. 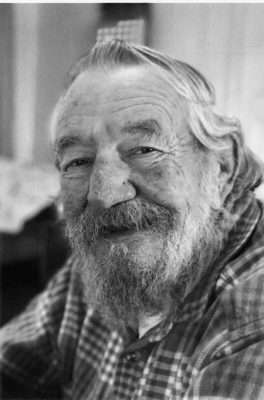 Jean Rae Rupert passed away on May 1, 2018 at her home in Eagle Lake, California. She was born on October 1933 in Susanville, California, to Thomas and Claudia Hill. Jean worked for 41 years as a Federal Civil Servant in the Health Clinic at Sierra Army Depot in Herlong, California where she retired in 1992. Jean enjoyed collecting Western art. She was an avid coin collector and had many other hobbies as well. She always welcomed visitors into her beautiful home and took great joy in showing off her many collections. Jean was a loving wife, mother, grandmother, and great-grandmother. She was preceded in death by her son, Dean Rupert. Jean is survived by her husband, Pete Rupert; her daughter, Claudia Murphy (Tom); two grandchildren; and four great-grandchildren.